I was so very very very excited about this piece. 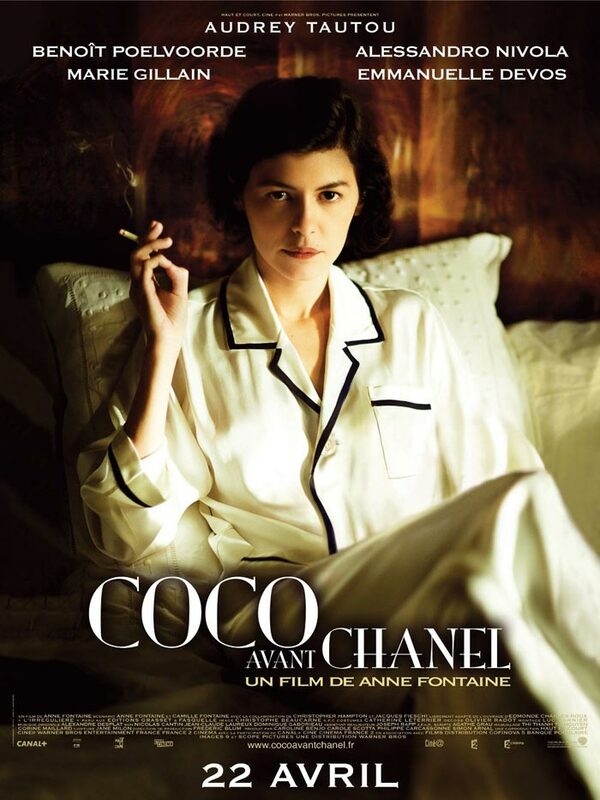 starring the lovely Audrey Tautou!!! I looooove vintage Chanel clothing. Sadly, having chosen a highly lucrative career in Non-Profit Arts Management<—sarcasm (don’t feel bad…it’s wonderful work! :) ), I own none of it. However, I saw potential in this dress to make my very own Chanel wannabe dress with simple lines and a classic look. First off, I needed to remove some of that length. A lot of it actually. 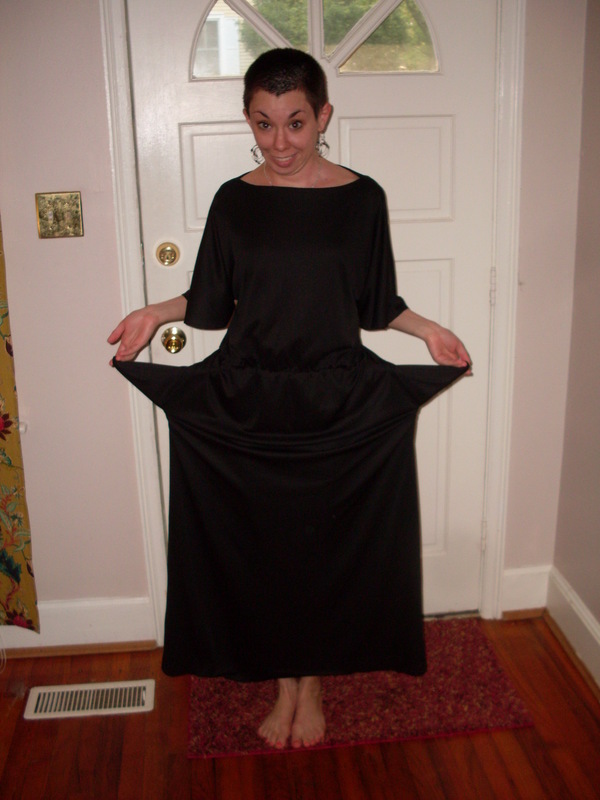 Then, I needed to take it in on the sides a good bit, but still in keeping with the drapiness of the dress. I decided against taking the bottom of the dress in, as it looked nice as is, and I didn’t want to lose those marvelously practical pockets. 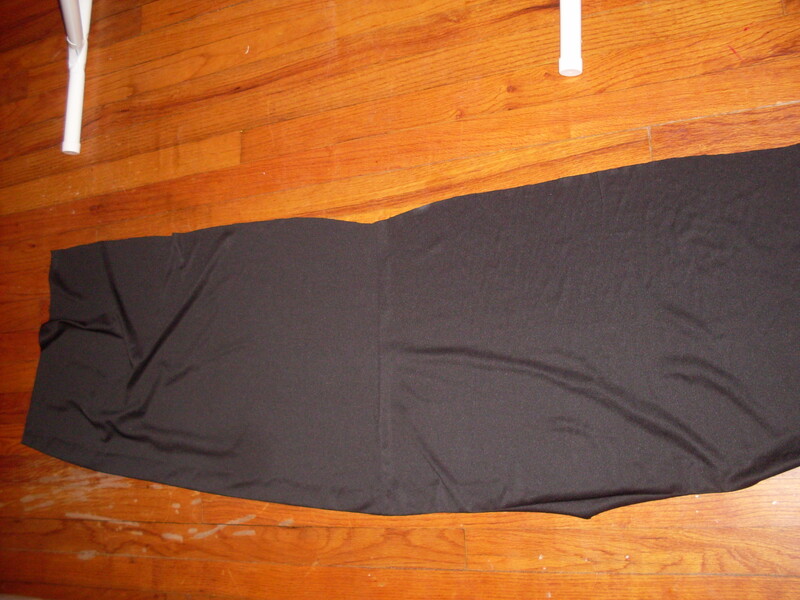 Next, I hemmed the bottom of the dress under. Now, I just needed a sash for my waist to complete the look. I haven’t gone into detail about this yet, but let me advise you against just tying a scrap of fabric around your waist (I’ve cringed at waaaaay too many refashioning blogs that tell you to do this!!!). 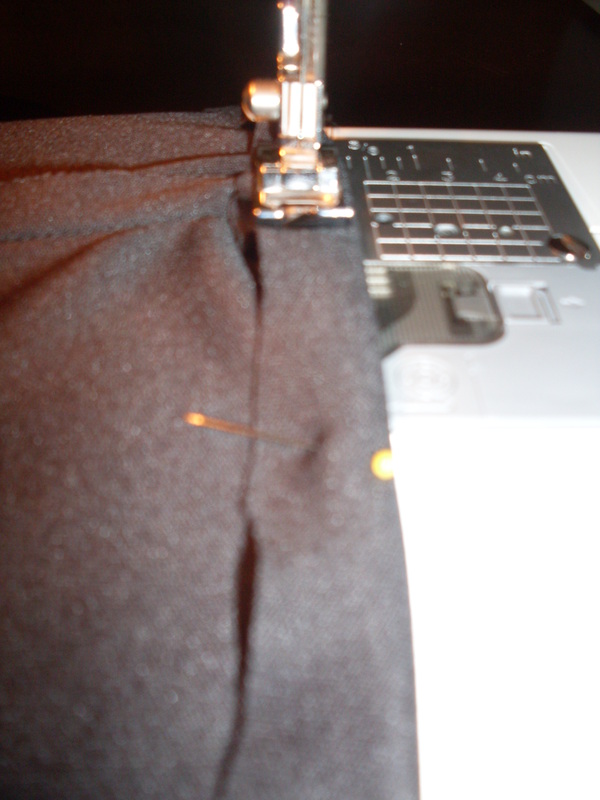 Nothing tackifies up your creation like some fraying scrappy mess around your midsection! Finish everything you do. Chanel would agree with me on this one, I’m sure! 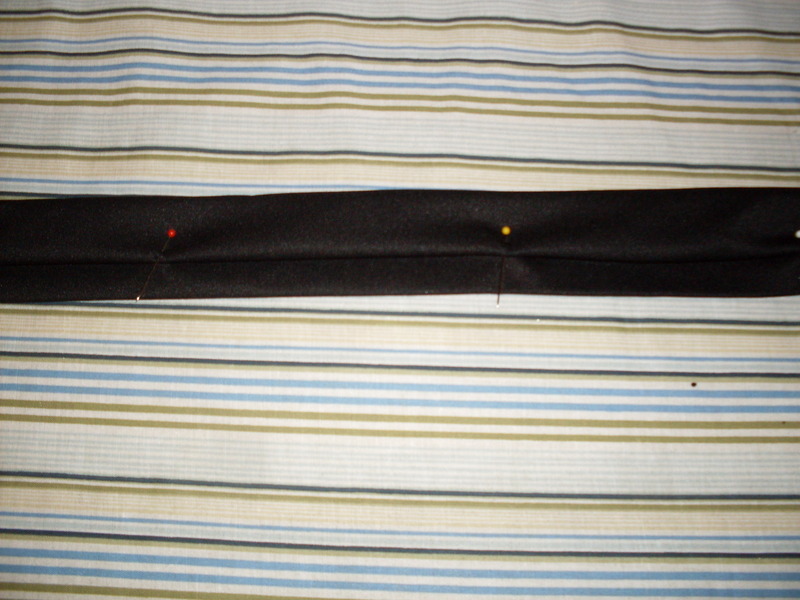 I cut a smaller strip from this, folded it over once, the folded it under, and THEN pinned it all along the strip. pinned and ready to go under the needle! 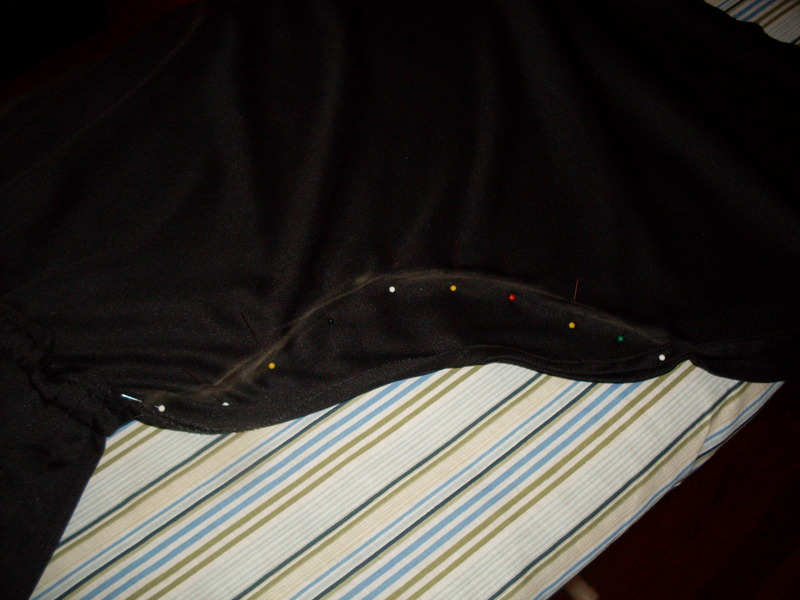 Now, All I had to do was sew it down! Yay! 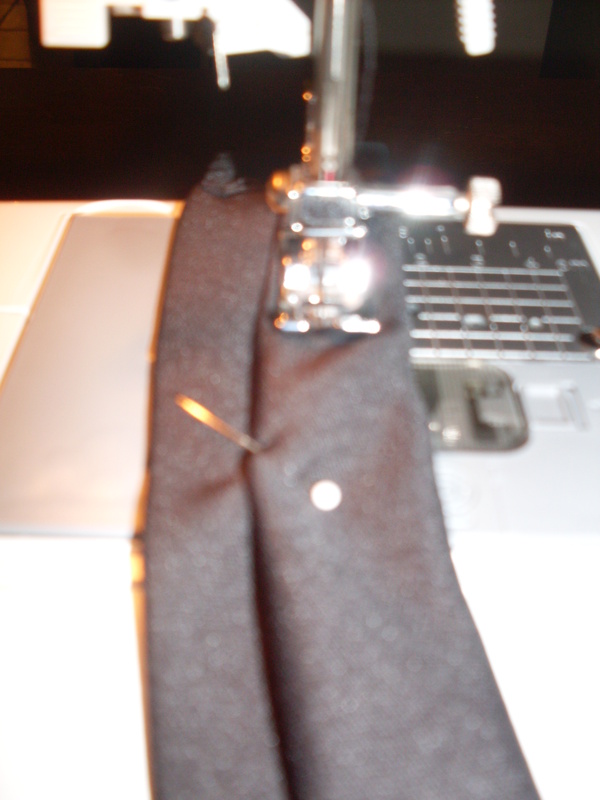 All Done (after pressing my seams and my sash)!!!! I think it turned out quite lovely. Seriously…this might be my favorite yet. 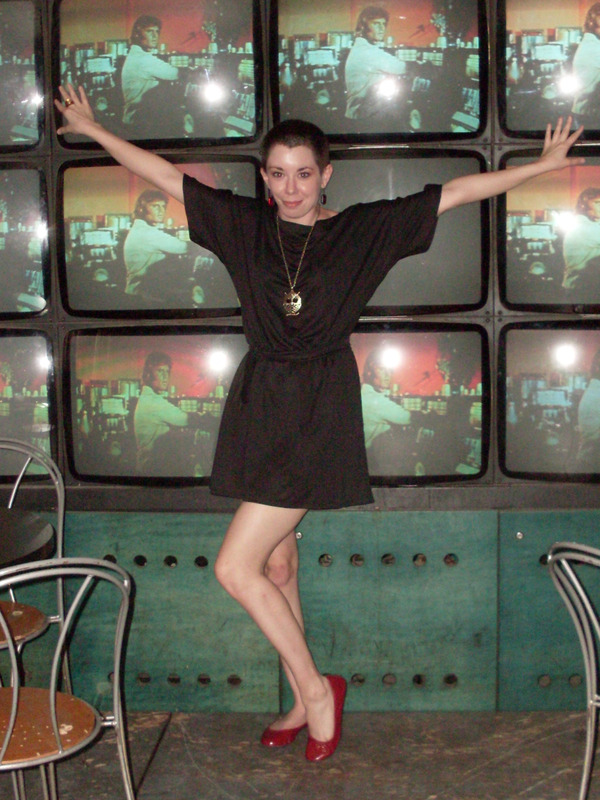 I felt so chic and got tons of compliments all night long! :) CoCo would have been pleased. Standing waaaaaaay too close to the TV!!! So cute! I recently bought an oversized dress from a thrift store and I was thinking of keeping it a simple t-shirt shape as well. So creative… my daughter who’s very interested in fashion design will love your blog!